Here’s a tongue twister for you: Paul from Prestwich is perfectly packing his PODS Container with plenty of possessions. See if you can say that ten times without making a mistake. If you can then packing your PODS Container will be an absolute doddle. Even so, we thought it might be useful to give you some top tips to make using PODS a stress-free experience. We like to call it the ‘3 Ps’ approach. There’s loads of room in one of our PODS Units. Indeed, we once saw a puzzled man calling himself ‘Doctor’ come out of one saying: ‘wrong box’. Make of that what you will. What we do know is a bit of advance preparation will really help when it comes to packing your PODS Container. First thing to do is make a list of what you’ve packed so you know you’re not going to waste time in the future delving for something that was never there. Secondly, bring some items that will help. Tape for boxes, rope or bungee cords, protective sheets and blankets and a thick marker for labelling. If you have big items such as furniture make sure you have someone with you to help move them to prevent injury. Finally you need your own padlock to lock up your PODS Container. Got all that? 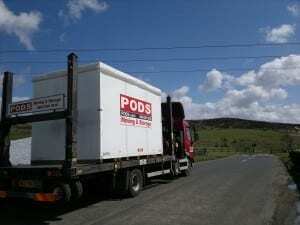 Great you are ready to pack your PODS Container..
Before you go all gung-ho and start chucking things in, stand back and have a wee think before you start packing your PODS Container. Where should things go and how? For example, we recommend sofas are stored upright and all furniture has protective blankets or covers. Ideally, you should distribute the weight of heavier items throughout the PODS Unit. You can secure bigger items using the handy hooks on the sidewalls. A good idea is to put large flat items like pictures against softer items or against the side of the PODS Container to maximise space. Once all that stuff’s in you can put your smaller items and boxes in the remaining spaces. However, before you start randomly filling the gaps think about when you come to get your things back what you may need first. This might mean putting things you might need to access quickly towards the front of your PODS Unit. This will save much wailing and gnashing of teeth later! Make sure all your fragile possessions are well wrapped and placed neatly in well-taped boxes with plenty of packing paper. Clothing and blankets can also be handy for protection and you can get purpose built boxes from us for TVs, pictures and mirrors. We can also supply copious amounts of bubble wrap but only as long as you promise to get on with packing your PODS Container and not stand there all day popping it! Always put your heavier items in smaller boxes and place at a lower level. This will allow for easier lifting and prevent damaging collapses as the goods settle. You can always use mattresses and cushions to prop up awkward items to give an extra level of protection and to make sure you use the space efficiently. Finally as a reminder – Remember we sell a whole range of boxes, packing materials, bubble wrap (not for popping! ), tape and specialist boxes which can be delivered for FREE inside your PODS Container! 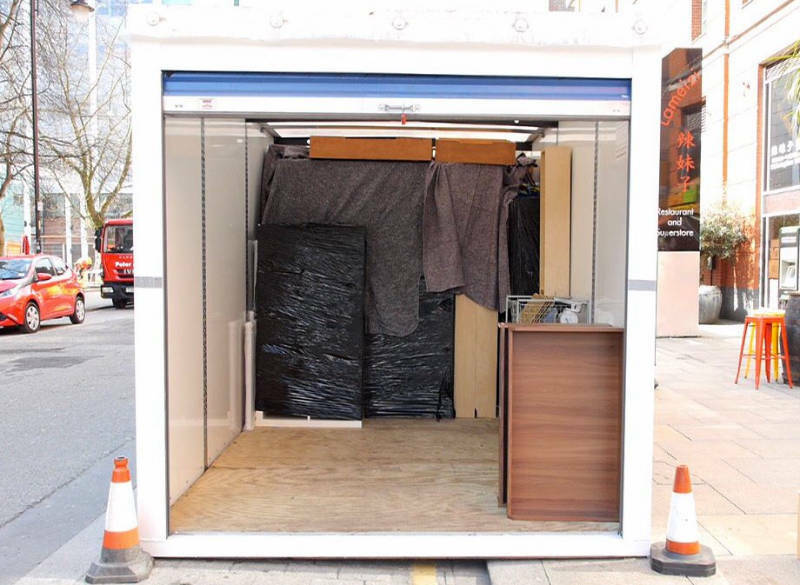 We hope that you’ll agree using our fantastic ‘3 Ps’ approach will make your PODS packing experience a happy one and you can leave your possessions safe in the knowledge they will be as safe and fresh as the day you secured them in one of our brilliant PODS storage units. Happy Packing everyone!